Good Girls is an American 60 minute scripted crime television series, which kicked off on February 26, 2018, on NBC and is broadcast every Monday at 22:00. The show is currently in its 2nd season. 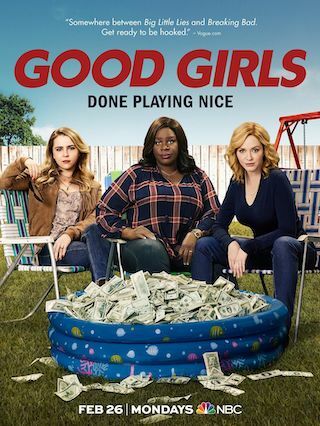 NBC is yet to announce the renewal of Good Girls for Season 3 as well as its cancelation. Sign up to track down the show's status and its release date. Season two is all about women dealing with the consequences of their criminal behavior. What happens in the wake of the trigger being pulled will have life-changing consequences that ripple through the entire season for Beth, Ruby and Annie.